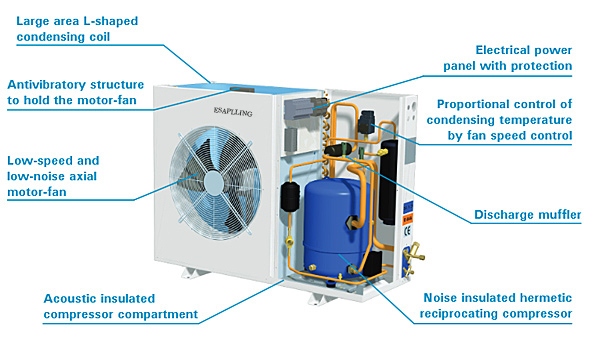 The condenser used in the outdoor unit of split air conditioners is the coiled copper tubing with one or more rows depending on the size of the air conditioning unit and the compressor.Greater the tonnage of the air conditioner and the compressor more are the coil turns and rows.The high temperature and high pressure refrigerant from the compressor comes in the condenser where it has to give up the heat. The tubing is made up of copper since its rate of conduction of heat is high. 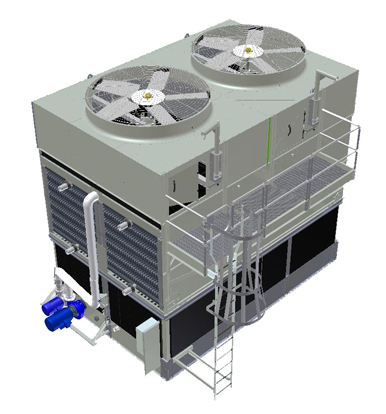 The condenser is also covered with the aluminium fins so that the heat from refrigerant can be removed at more faster rate. 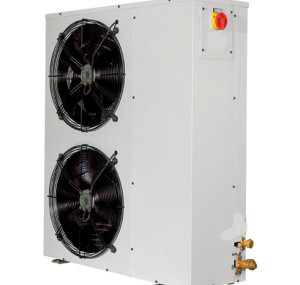 Every AC has three major parts – an evaporating coil, a compressor and a condensing coil. Air-conditioning is the transfer of heat. When heat is removed from a room, that room gets cooler. The heat from your room (internal heat) moves over the evaporator coil. The refrigerant, in liquid form, will be flowing through the evaporator coil. R-22, the refrigerant that is commonly used in AC, has a boiling point of -40.8 degrees Celsius equivalent to -41.4 degree Fahrenheit. The room heat is absorbed by the refrigerant which changes into gaseous form because of the heating process (the way water changes into water vapour when heated). The air that has come from the room thus becomes cooler with the removal of heat and is blown back into the room. There are several reasons for having condensers made of alternative metal in automobiles. First, the fraction capacity in terms of tonnage is much smaller as compared to room air conditioners. 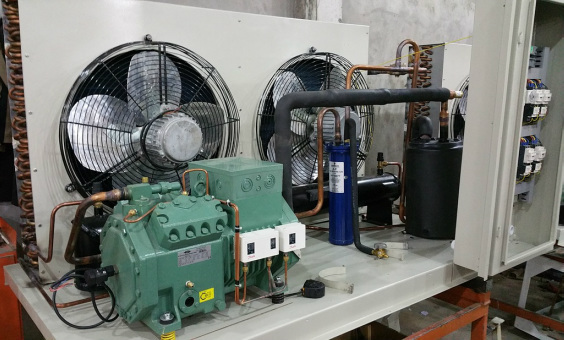 Second, the refrigerant used is of low pressure and thus there are low chances of leakage. Third, the condensers in automobiles are kept in a totally enclosed box thus protecting it from outside impurities. Last, it is easier to take an automobile to a workshop and get the faulty condenser repaired during periodic service.